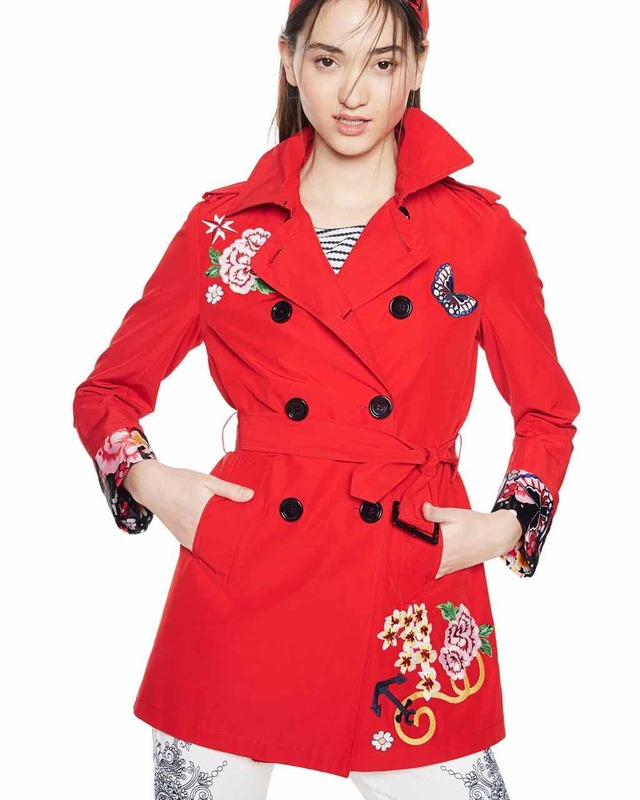 Desigual Coat “Murielle” – spectacular red trench coat from “Sailor” collection featuring double breast closure, floral embroidery, pockets and belt! Comfortable fit, medium weight fabric. Featured at NY Fashion Show, wow! 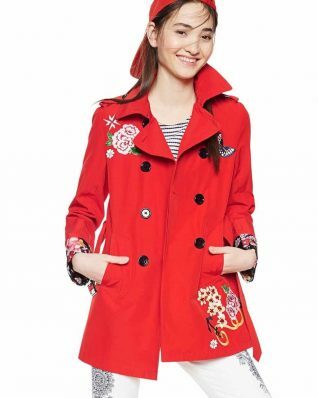 With Lining (floral print). 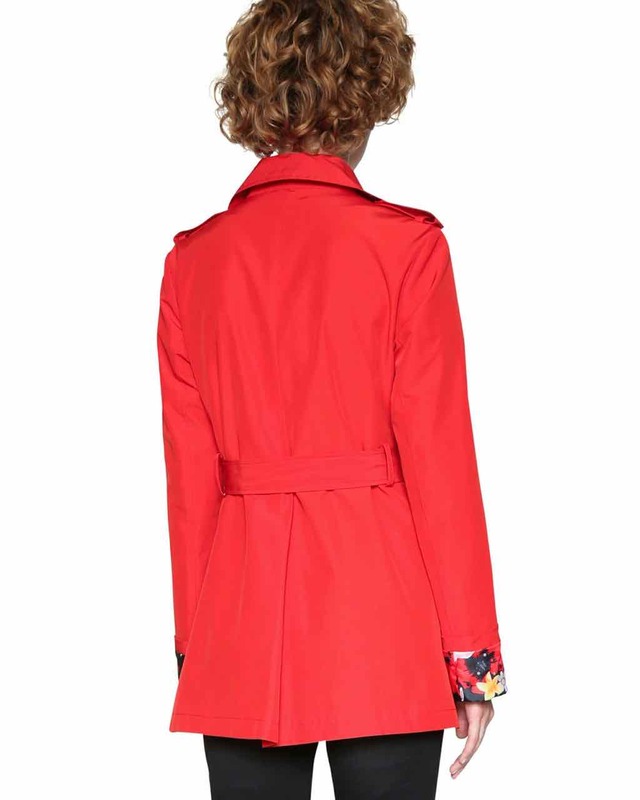 Cotton – Polyester.